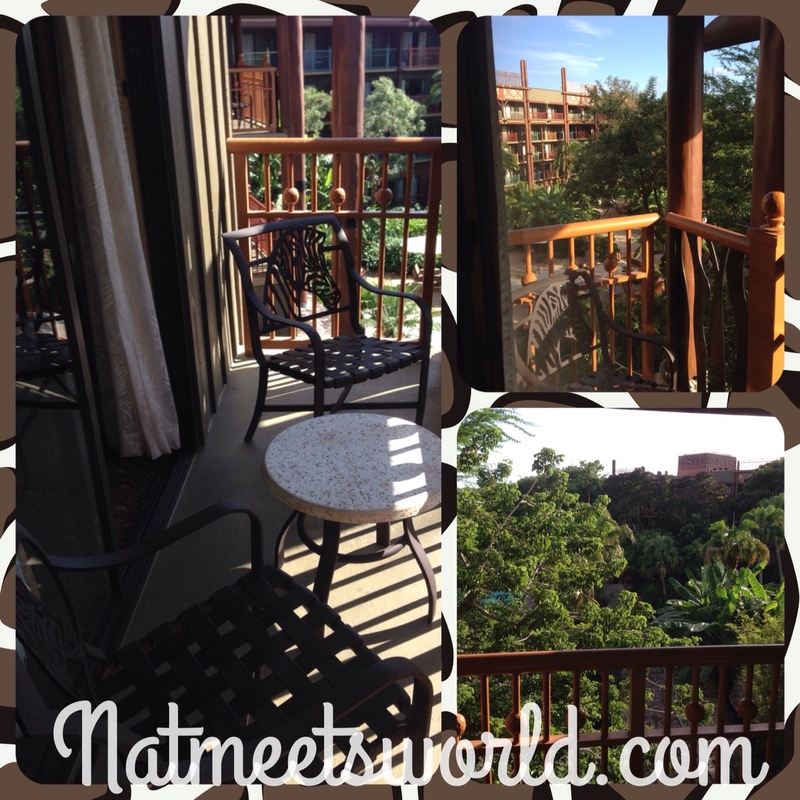 If you haven’t stayed at The Animal Kingdom Lodge at the Walt Disney World Resort, you may want to consider it for your next vacation. 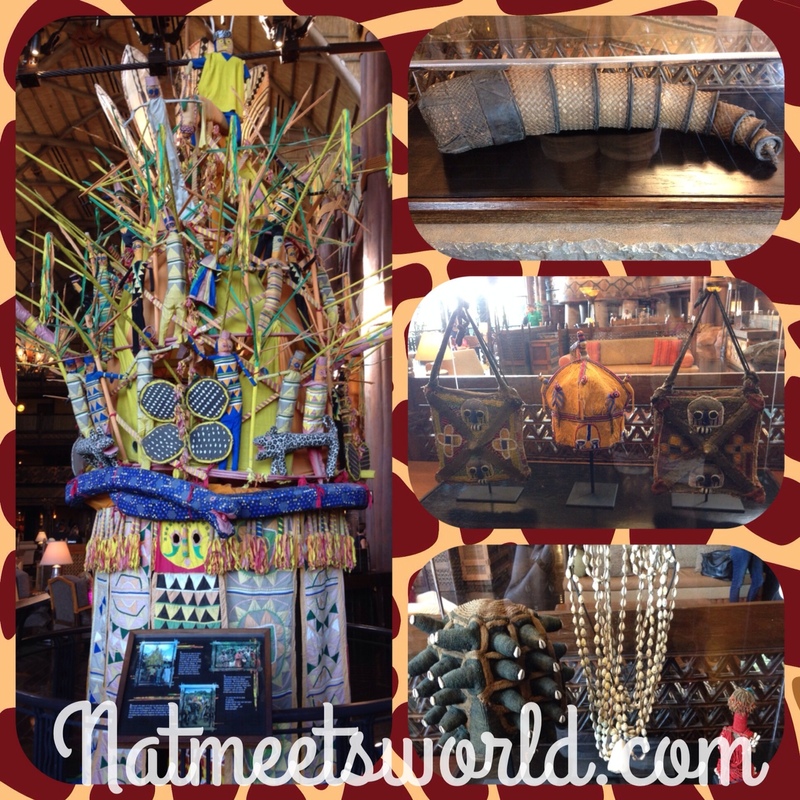 The Animal Kingdom Lodge, AKL, is unlike any other Disney World resort, with its lush African theme and detailed designs, it is sure to make you feel as if you have just stepped into Africa…..but with a little Disney flare of course. It’s unique savannah views directly from your guest room and expansive list of animals that surround it make for quite the experience and story for your friends and family when you return home. There are two parts to this expansive property. The Jambo house is where most guests stay as it is the biggest building for hotel rooms. Next to the Jambo house, on the same property, lies The Kidani Village, which is for the Disney Vacation Club members. 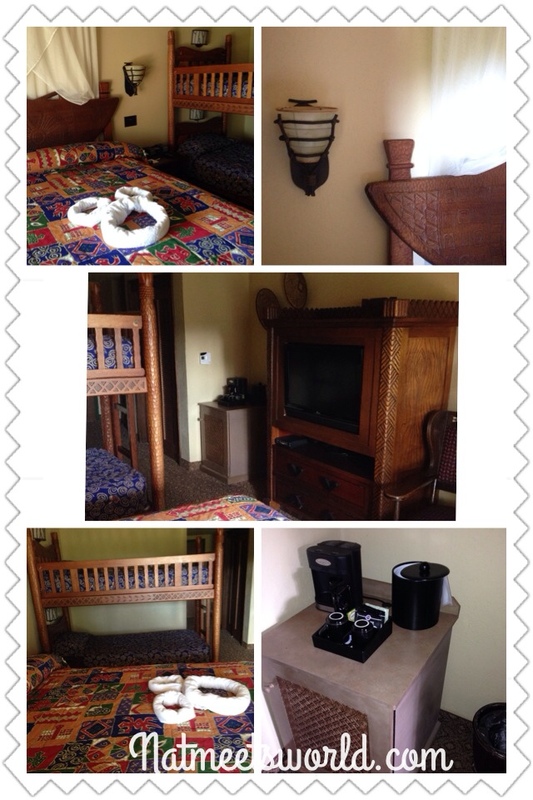 If you prefer to stay in the Kidani Village, you can purchase DVC points to do so. 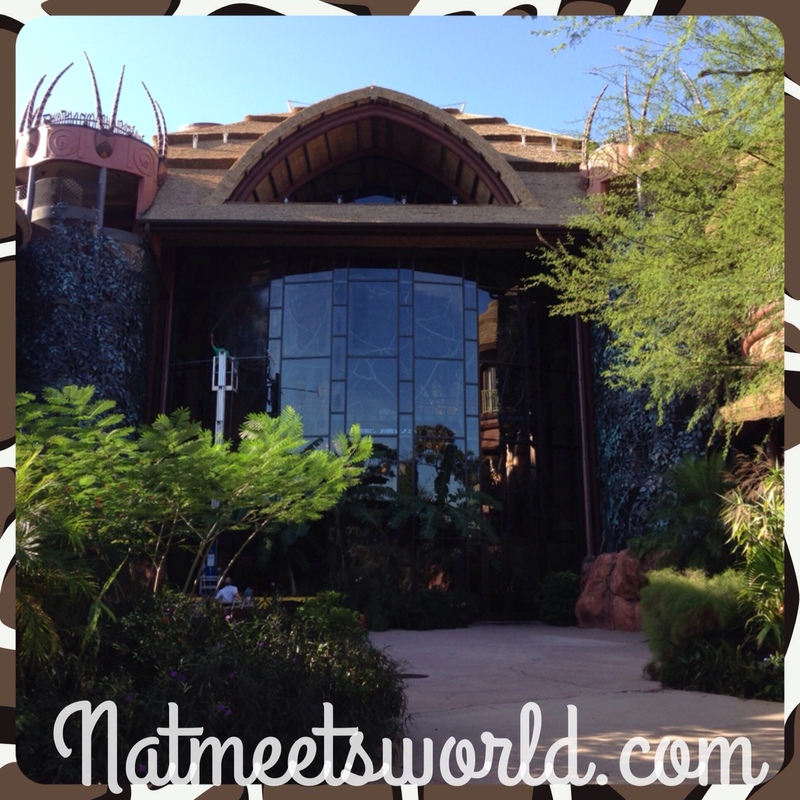 I had the pleasure of staying at the Jambo house and I absolutely loved it. I feel the Kidani village is just as beautiful, and there are only slight differences between the two properties. The child care services, tennis/basketball courts, and two major restaurants are located at the Kidani Village along with one of their bigger pools. The guest rooms are also different as one building has rooms specifically designed for DVC members.Either way, you can visit both buildings on your stay. 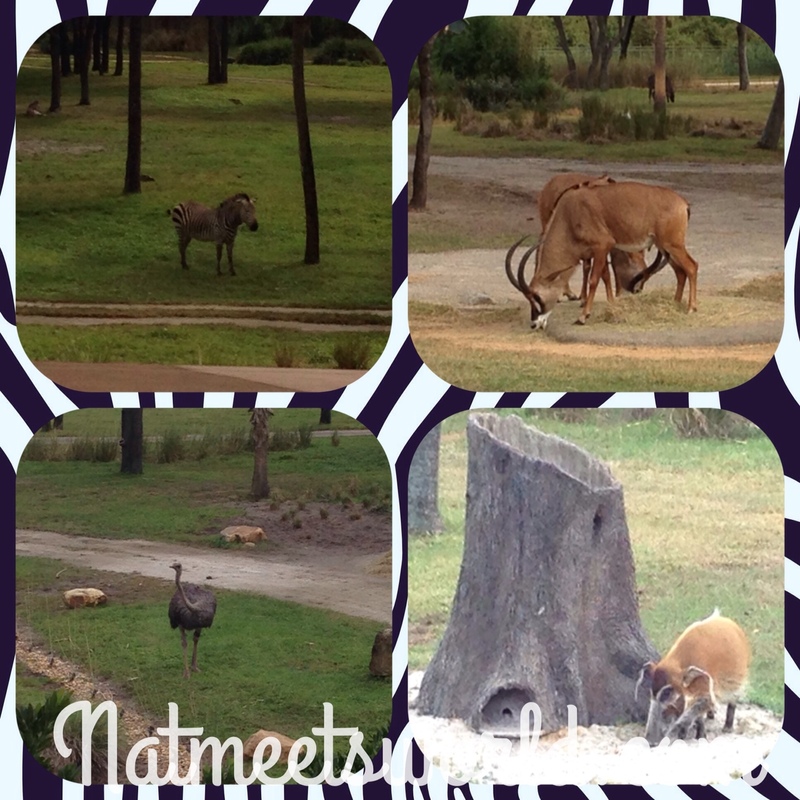 The pictures you will see on this post are all form the Jambo house, except for a few savannah views. Let’s explore! Top picture: AKL lobby, Bottom picture: AKL exterior. 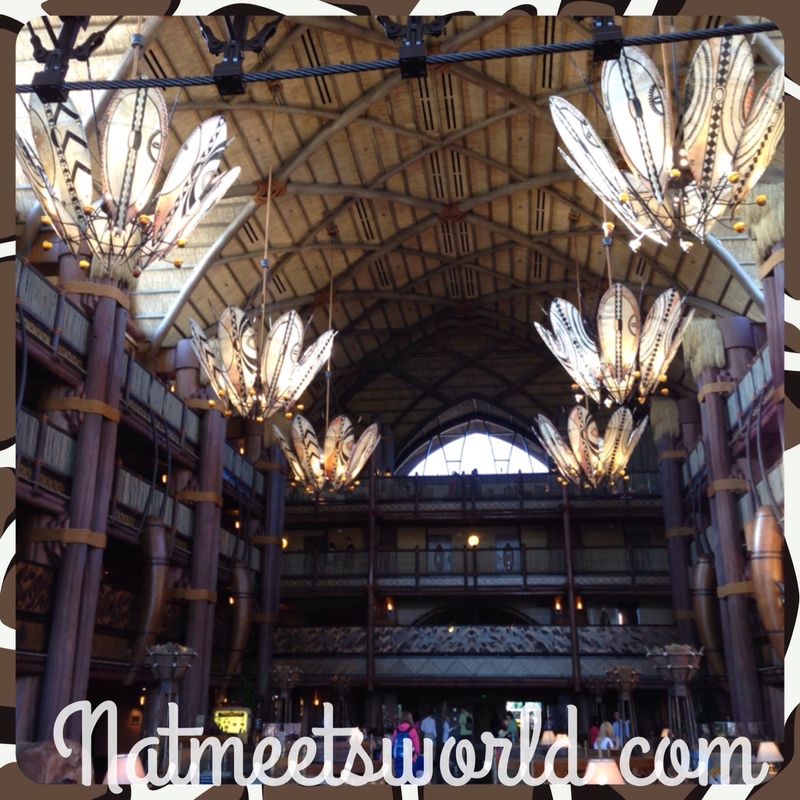 The lobby in the Animal Kingdom lodge has sky-high ceilings with a super large area for lounging. 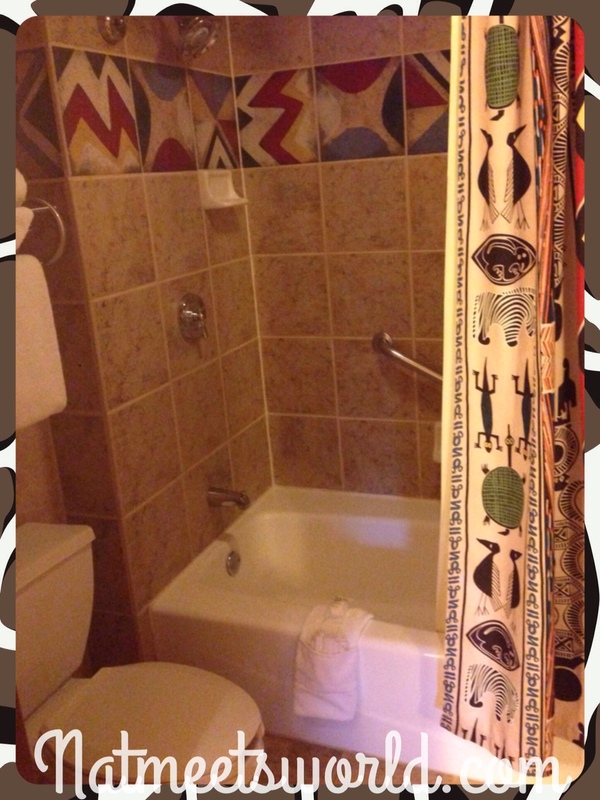 There are several couches, televisions, and loads of African art to look at. In the picture above and below, you can see the different types of African artifacts that the AKL has. 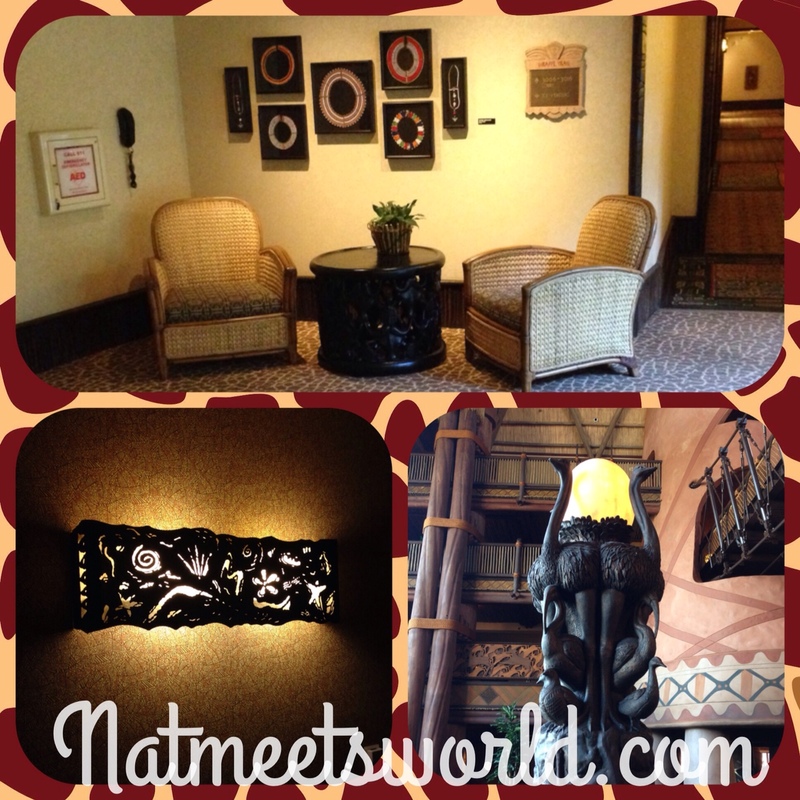 Pictures of the AKL lobby, Kidani Lobby, firepit outside the lobby, and savannah view from hallway of the hotel. As you make your way to the back of the lobby and exit through the doors, you will see the beautiful savannah. Here, you will find several spots with animal facts about the different species you will see during your visit. 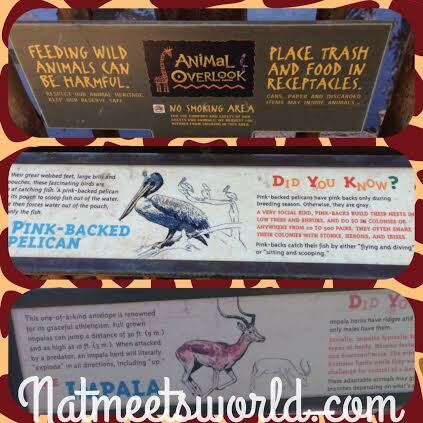 Below are a few of the animal fact stations I saw. The lodge is surrounded by 4 savannahs, so there are a lot of different animals. You may see some one day, and not the next. 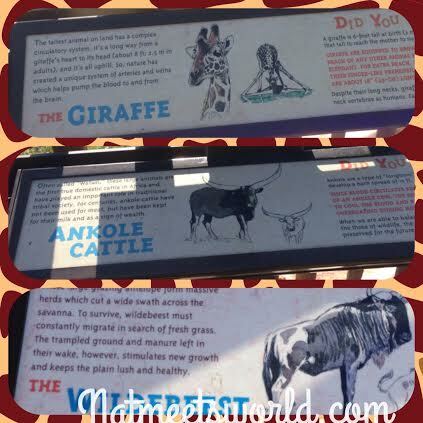 These can be read while looking at the animals themselves. Here are just a few of the animals I saw during my stay. There were so many beautiful moments that I had watching them with my significant other, so I didn’t want to take pictures of them the entire time. I really wanted to enjoy the moment, and I’m so glad I did! Above, you can see some angles of the savannah. 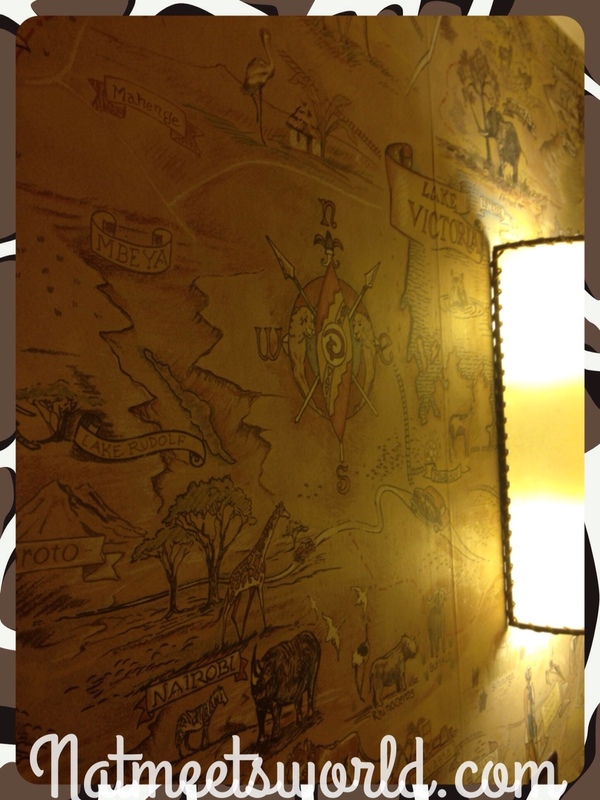 The sheet on the top left explains each animal that is on the AKL property and some fun facts about each one of them. You can find this in your hotel room, or you can ask the front desk for a copy. 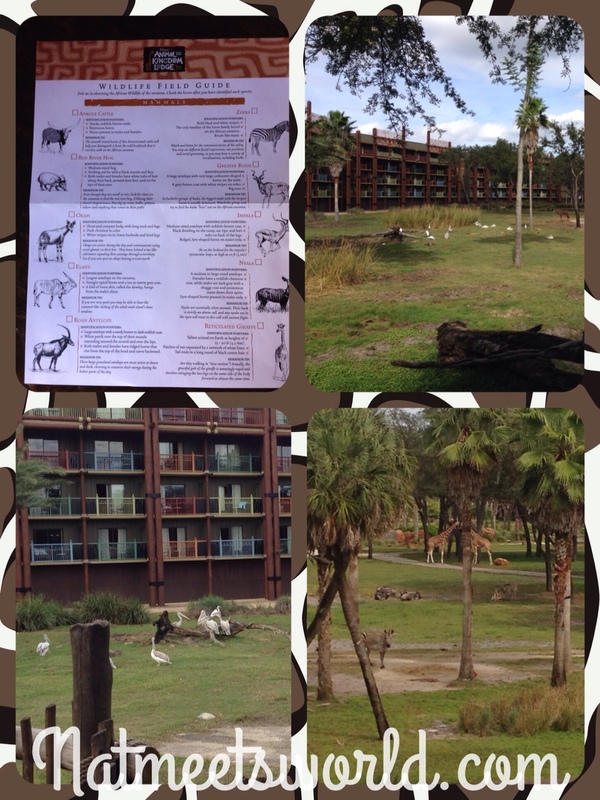 Don’t forget to use the checklist as you are looking at the different animals on the savannah! 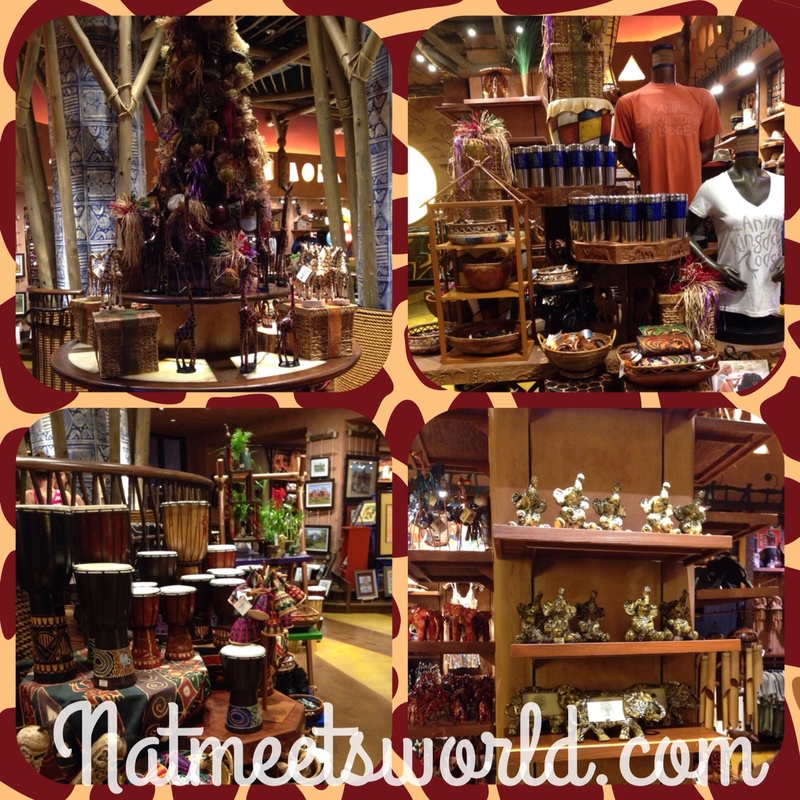 Back in the lobby, the AKL gift shop is another spot you’re going to want to visit. 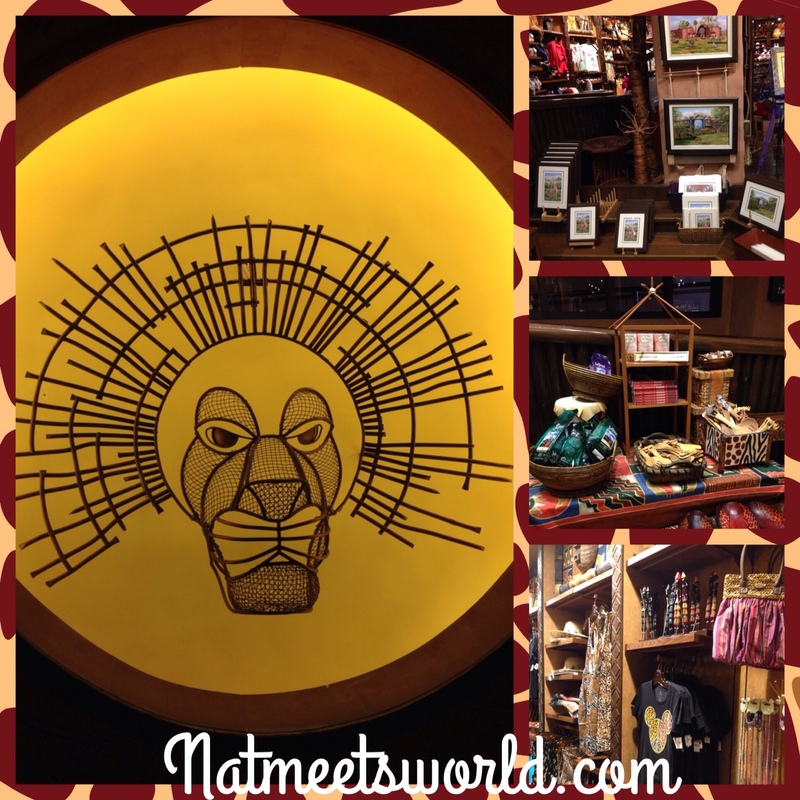 Unlike most of the Disney gift shops, the AKL offers a variety of items that are African themed including clothing. You will find Disney memorabilia with animal patterns that you will not find in any other gift shop at any other resort on the WDW property. African art, instruments, figurines, etc. are a few of the items sold here. Check out the pictures below of some items from the gift shop. 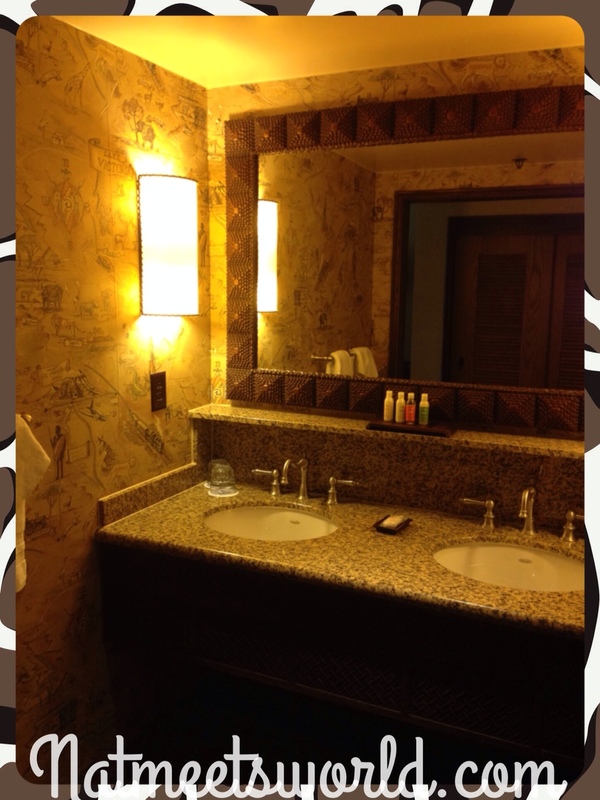 The guest rooms at the AKL are very detail oriented and blend tastefully with the rest of the resort theme (see pics below). Every room at this resort offers a balcony, so you don’t need to request one. There are different viewing options available including the savannah views (most expensive), pool views (moderately priced), and standard views (least expensive). During my stay, I had a pool view room with a queen bed and a bunk bed as well. The guest rooms include a mini-fridge, coffee, complimentary Wi-Fi internet, and cable T.V. The bathroom offers a double sink outside of the shower and toilet area (which is great to use while other people in your party are showering). AKL sink area in guest room. AKL bathroom in guest room. The balcony in the room is a decent size, and includes a small table and two chairs to lounge in. It was nice to relax here in the evenings (see pic below for balcony views). Balcony views from my guest room. 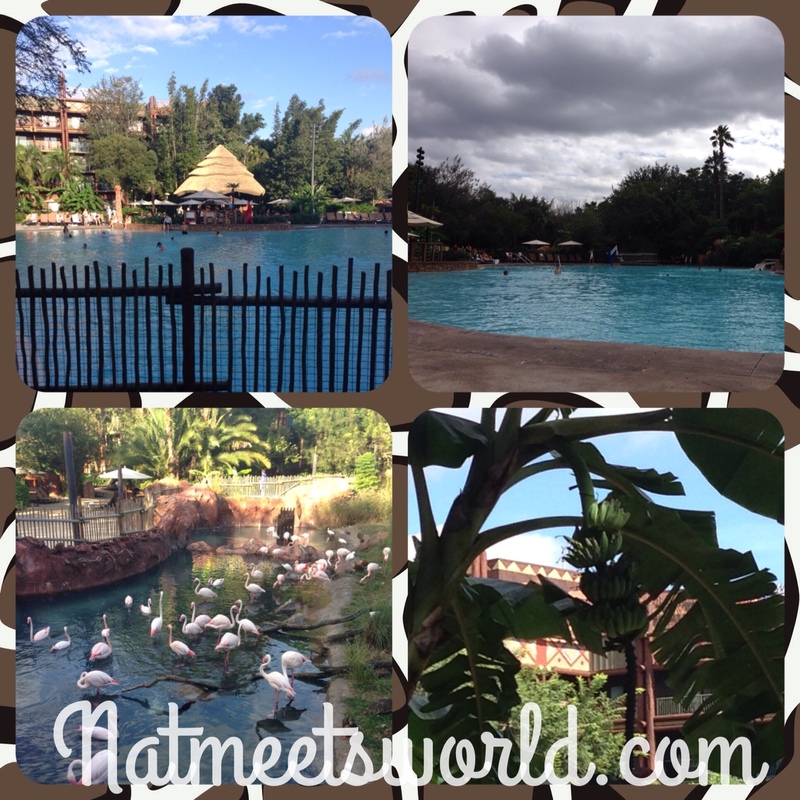 Top pictures show the Uzima pool at the Jambo house. Bottom left picture: the flamingos by the pool. Bottom right picture: Check out the banana trees b the pool! 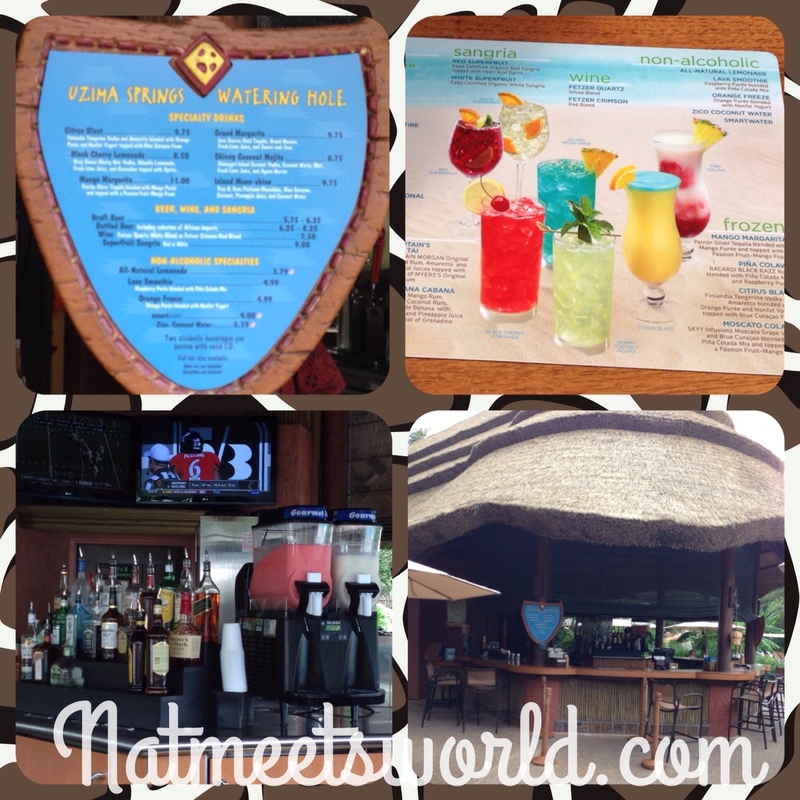 The Uzima pool at the AKL is located at the Jambo House. It offers 11,000 square feet of pure fun with a 67 foot water slide. The Samawati pool at the Kidani Village is just a short walk away and offers a zero depth entry pool with another water slide measuring 128 feet. Uwanga camp offers three areas on both properties for the really little ones to splash around safely. These are also located near the larger pools. Uzima Springs is also located in the pool area which offers drinks, light snacks, and even some sandwiches and other meals from the Mara, which is nearby. Check out the photos above. One thing I absolutely love about the deluxe Disney hotels is what they offer for the kids. While lounging around the pool, the amazing staff at Disney had a ‘pool party’ which had the kids smiling from ear to ear. During this pool event (done daily by the way) kids can dance with great music, play all kinds of pool games, and get involved in trivia. Another really cool feature is the movie under the stars. A different Disney movie is played nightly under the stars in a lounging area by the pool on a giant inflatable movie screen. I absolutely love being able to watch a movie in a unique setting, and lounging by the pool while doing so. Since this area is near the flamingos, I was able to see the staff feed them during the movie, which was pretty cool too. There are several restaurants on the AKL property. The Jambo house location offers Boma Flavors of Africa, a unique themed family style buffet that serves breakfast and dinner. Jiko is also located here. Jiko has exquisite signature fine dining and is only open for dinner. Strict dress code guidelines are also enforced. The Mara and Uzima Springs are quick service restaurants that are located near the pool. At the Kidani Village, Sanaa is their unique themed dining location, along with Victoria Falls Lounge and Cape Town Lounge Wine and Bar. The Maji Pool Bar is located by the pool and is a quick service restaurant. There is also room service from 6:00 AM until midnight. Top Picture: Map of the entire AKL Property. 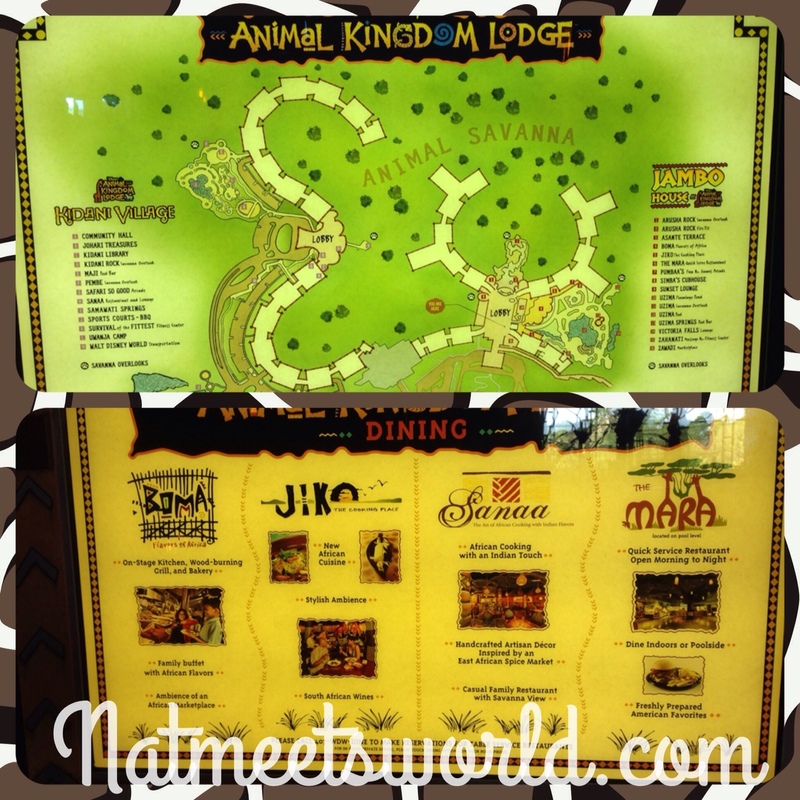 Bottom picture: List of each restaurant at the Jambo house and Kidani Village. With its lush landscaping, its better off not getting a pool view room. I was a little disappointed with my view from my balcony and realized that the pool view is very limited from most of the balconies facing it. You may want to think twice before doing this. Out of all of the deluxe resorts, this one tends to be the least expensive of them all, however, it can still be pricey if you are on a tight budget. With the other three deluxe resorts, you are able to see the water parade, however, since this resort is not on Bay Lake, it isn’t offered here. The dining here is excellent, however, there are more expensive options than not. The AKL is the furthest resort from the theme parks which means long bus rides to and from the parks. Although the African theme is to die for, it is not as ‘kiddish’ for the little ones. The decor is more for adults, with ‘hints’ of Mickey. 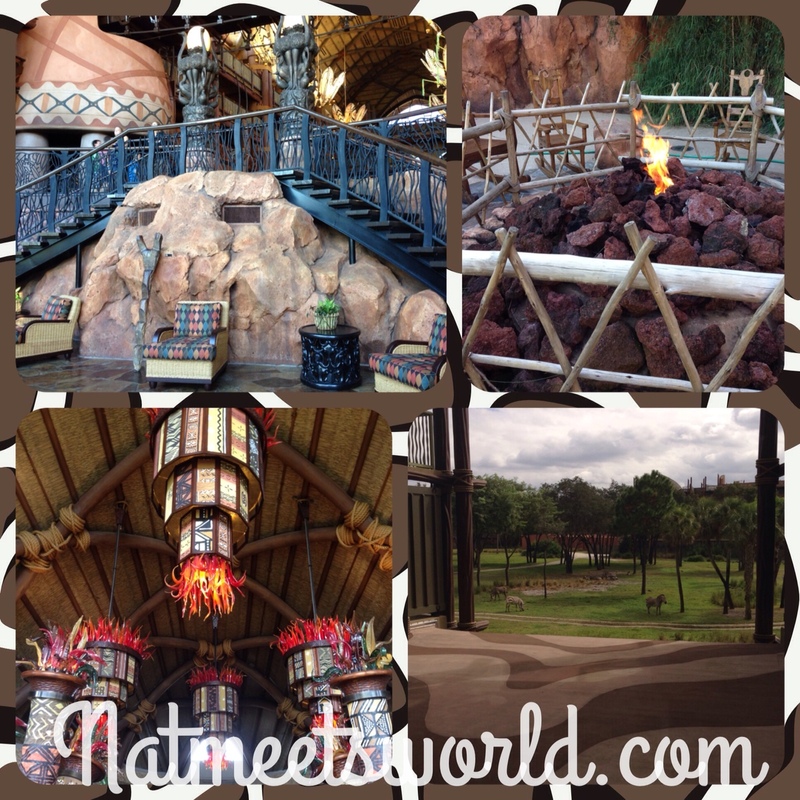 Check out the Animal Kingdom Lodge on your next visit and let me know what you think! If you have a question about anything I mentioned, comment below. Disclosure: My pictures and opinions are all my own.